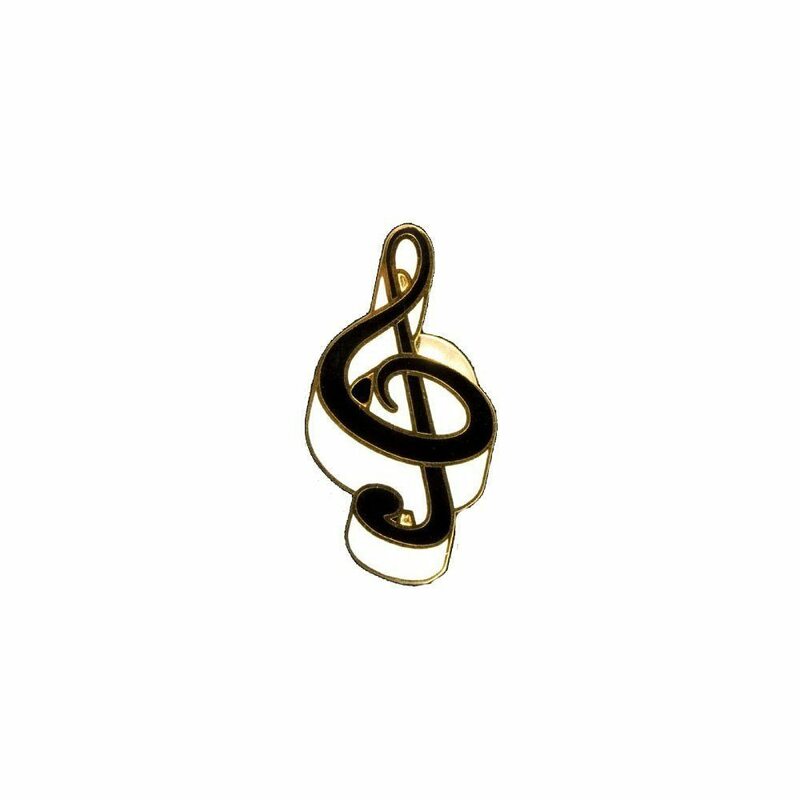 A clef (French: clef “key”) is a musical symbol used to indicate the pitch of written notes. Placed on one of the lines at the beginning of the staff, it indicates the name and pitch of the notes on that line. This line serves as a reference point by which the names of the notes on any other line or space of the staff may be determined. 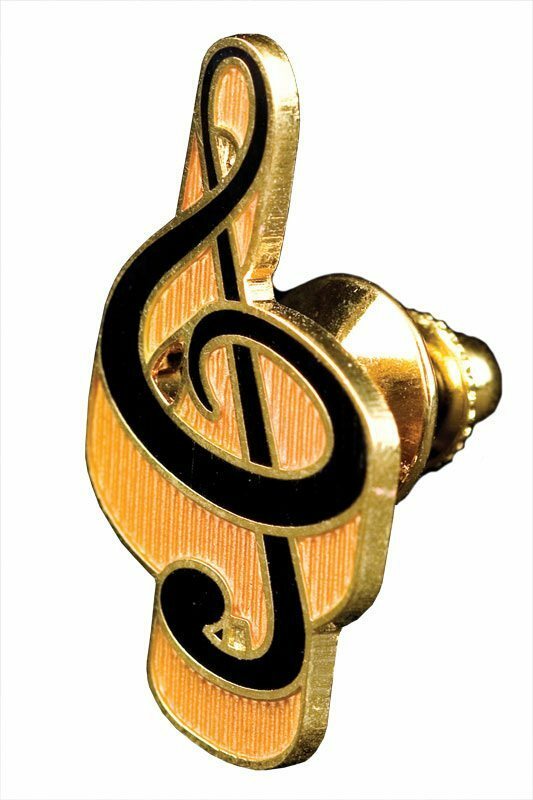 This G clef replica is black with a blue shadow and finished in 24k gold electroplate.